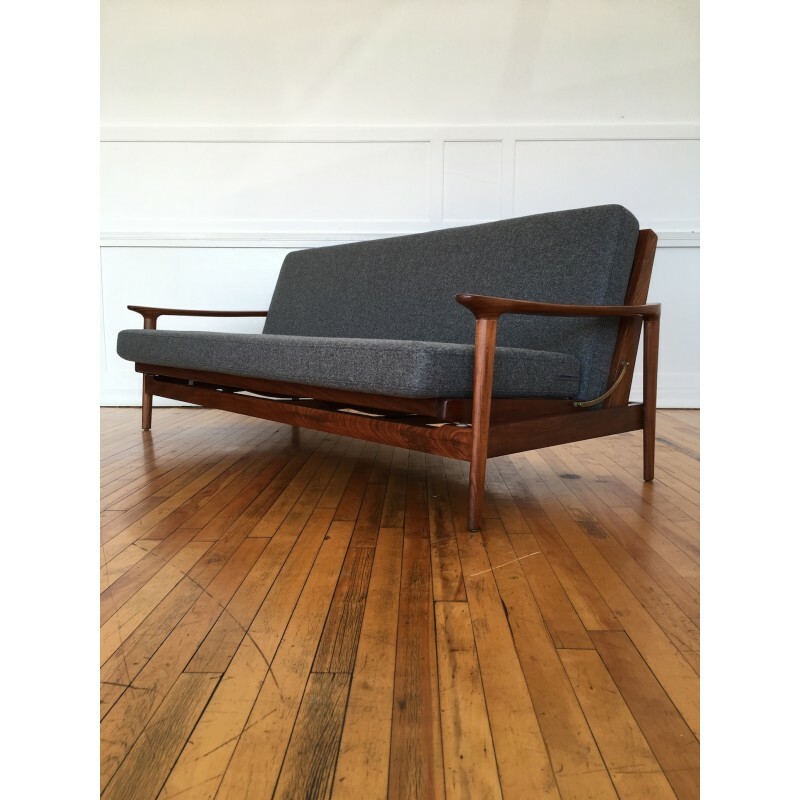 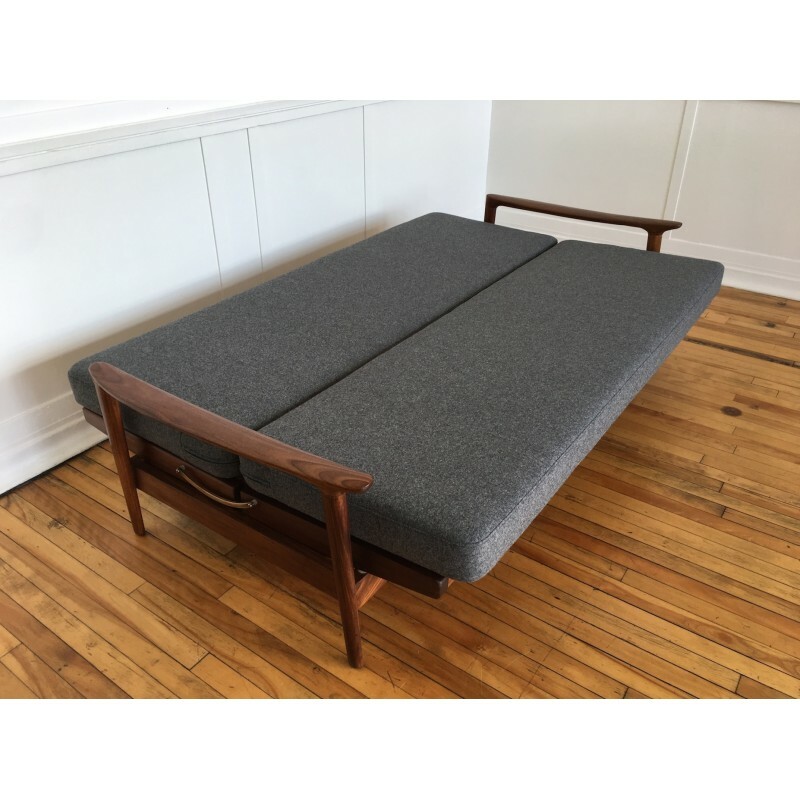 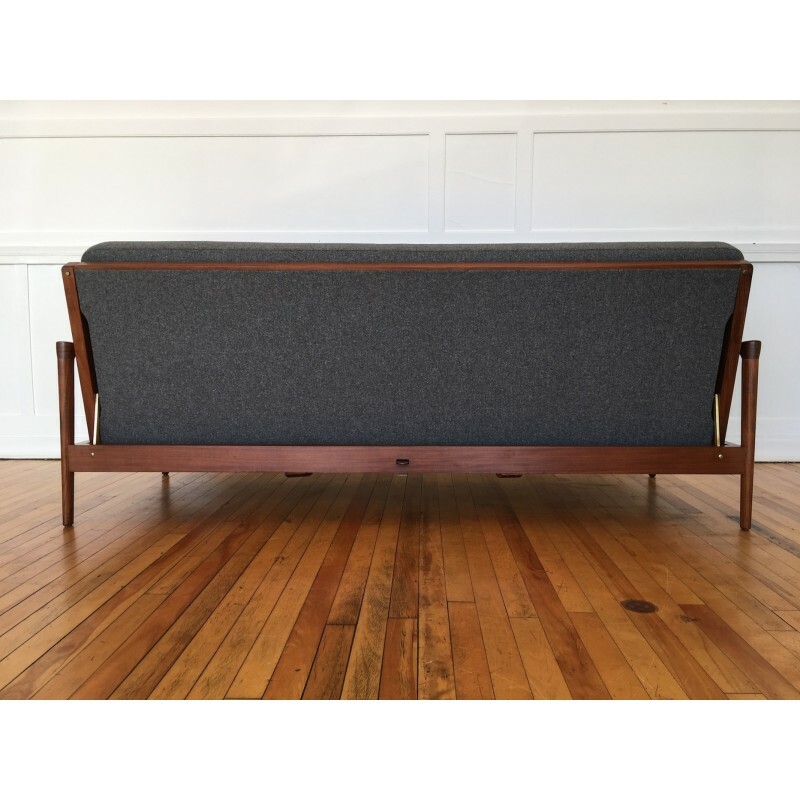 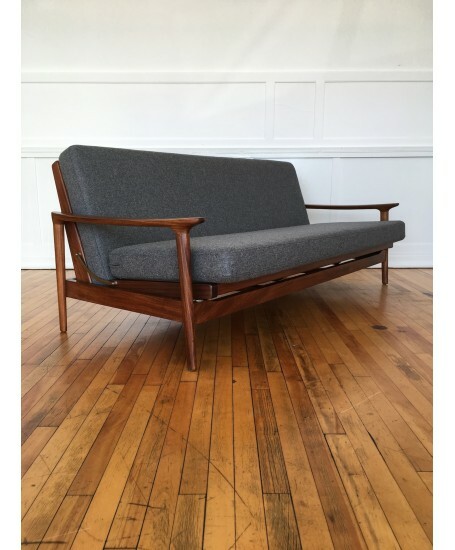 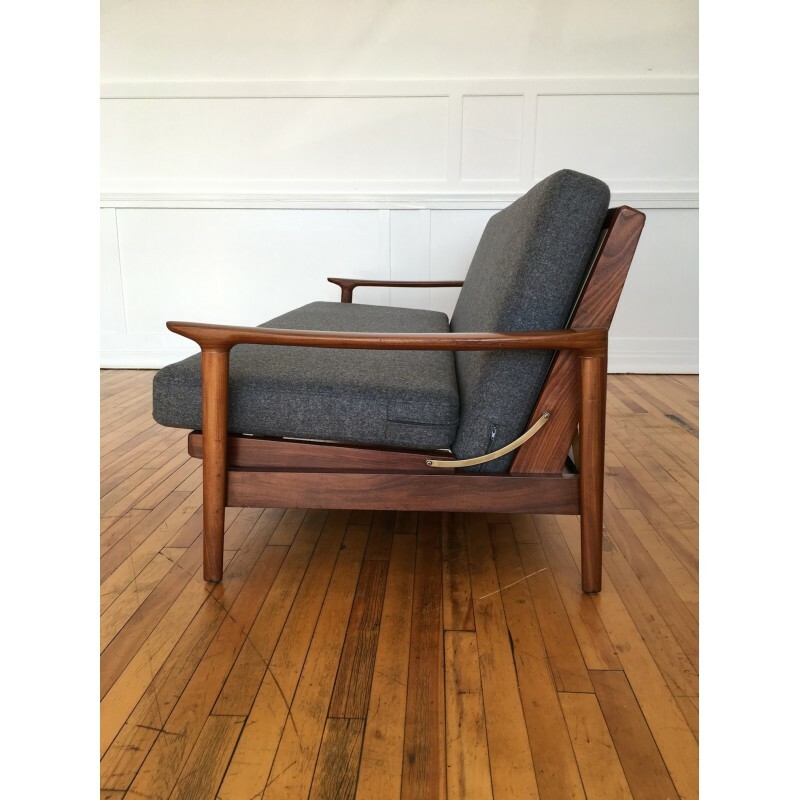 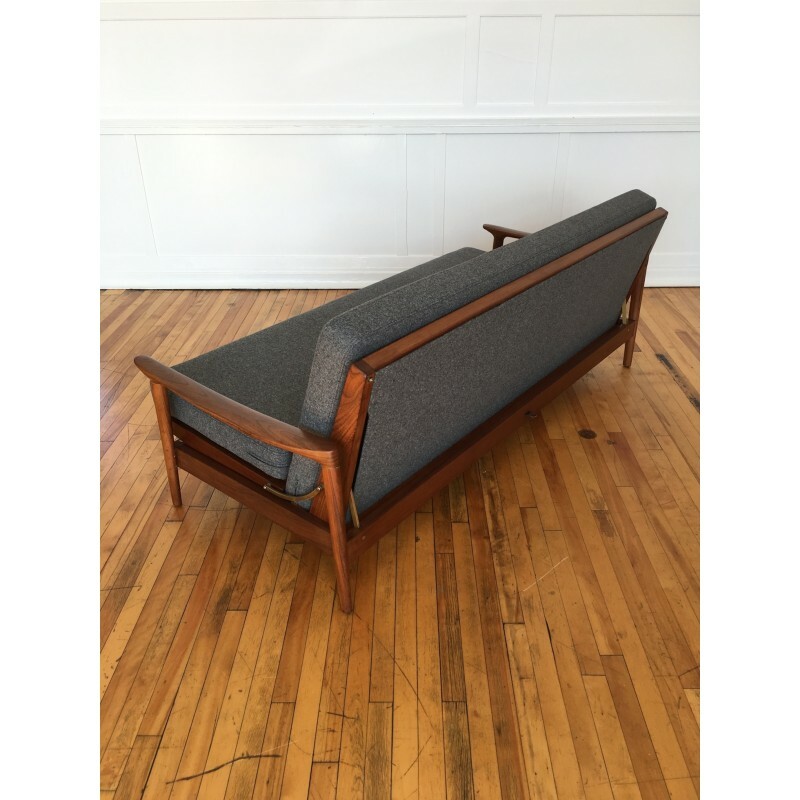 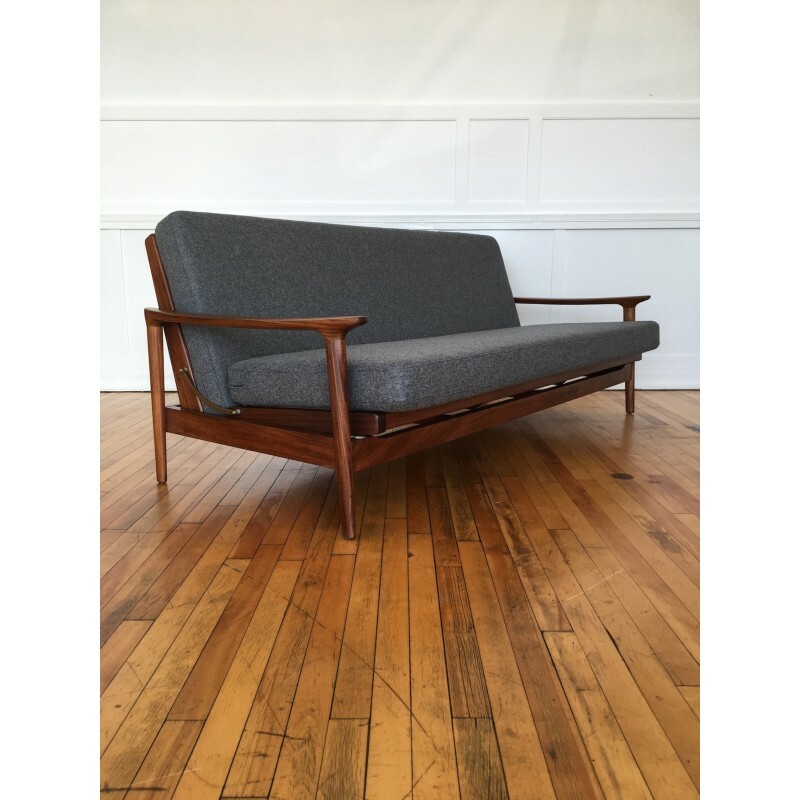 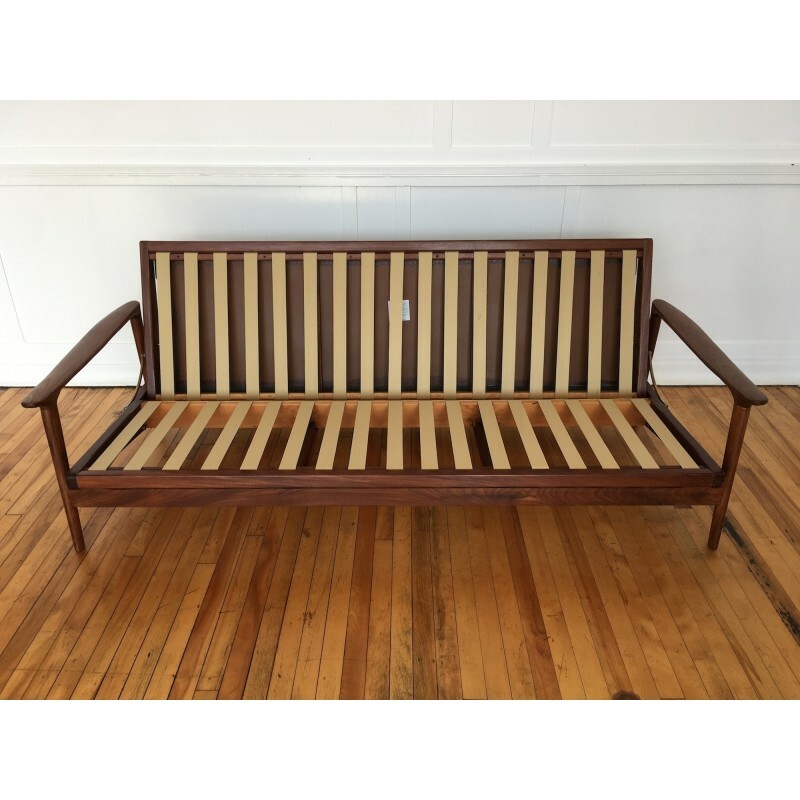 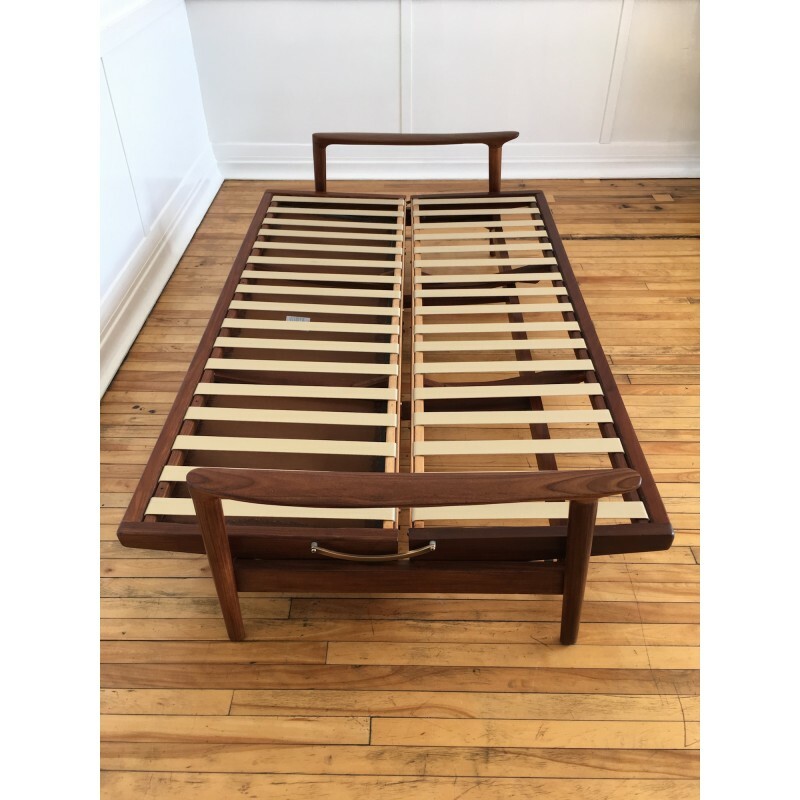 A fabulous and rare 1960's Guy Rogers New Yorker sofa bed. 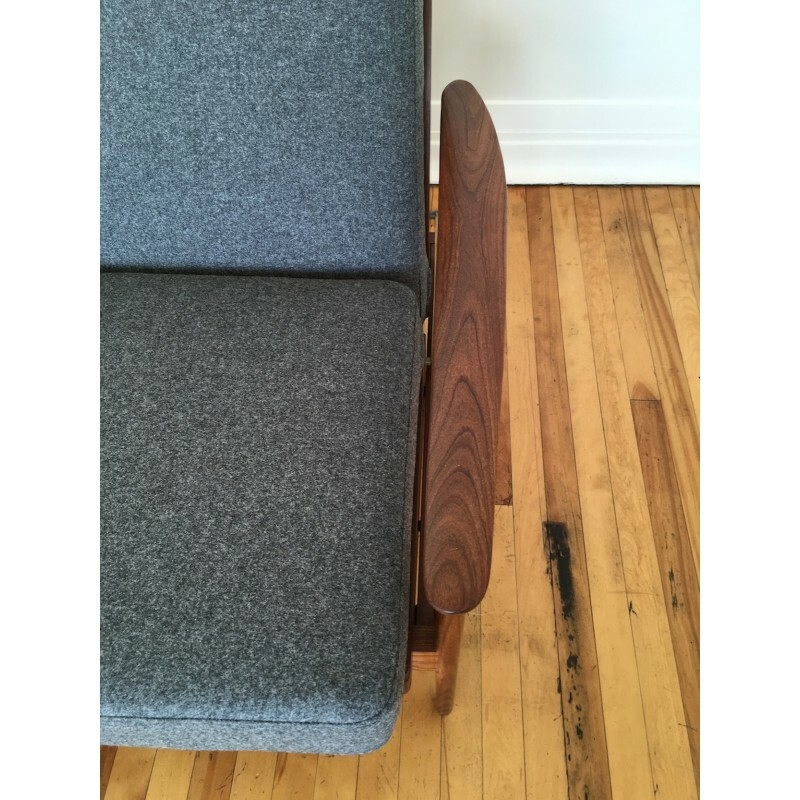 We are only able to find a single other example of this particular model. 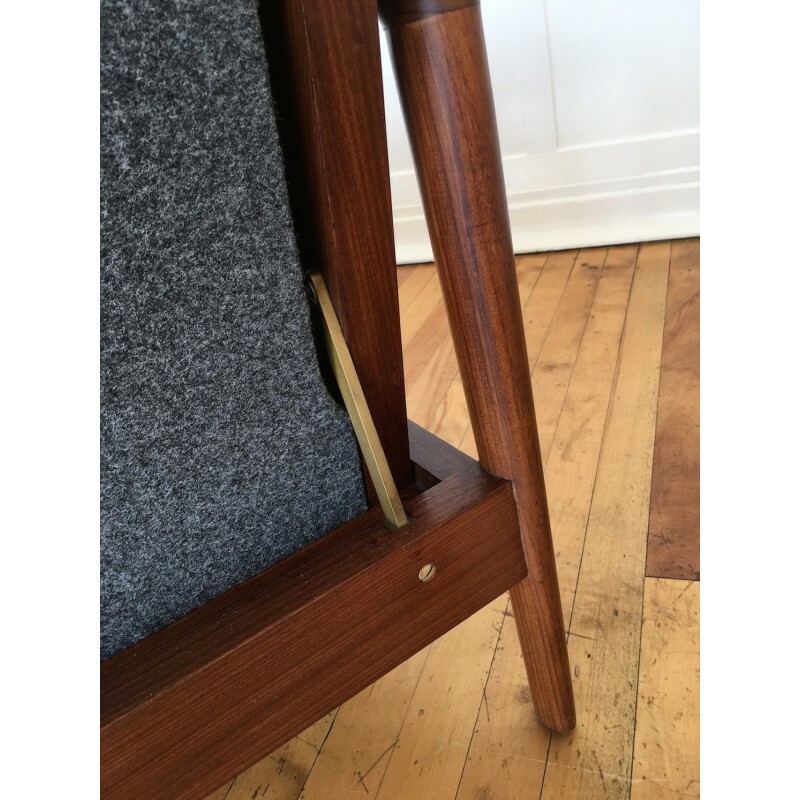 The afromosia/teak frame is in excellent condition, with only a small number of minor marks upon close inspection. 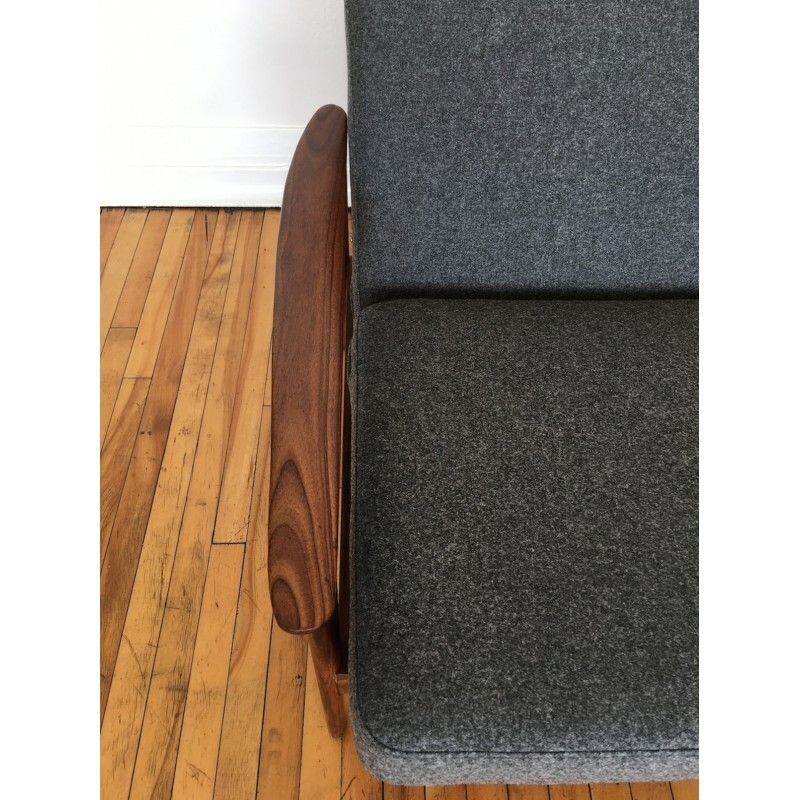 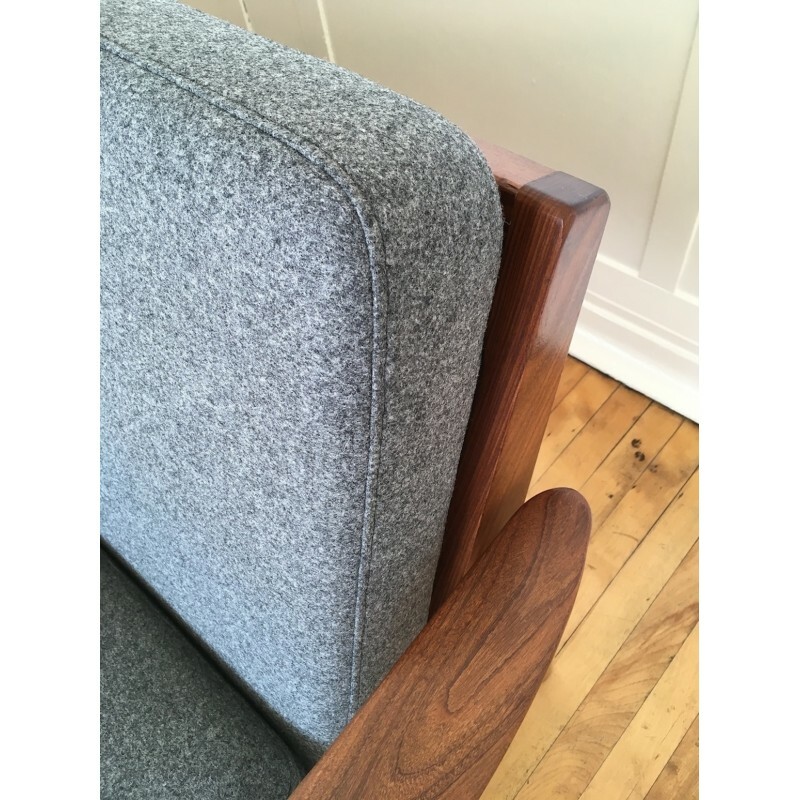 New foam cushions of the highest quality have been upholstered in a grey felted wool from Abraham Moon. 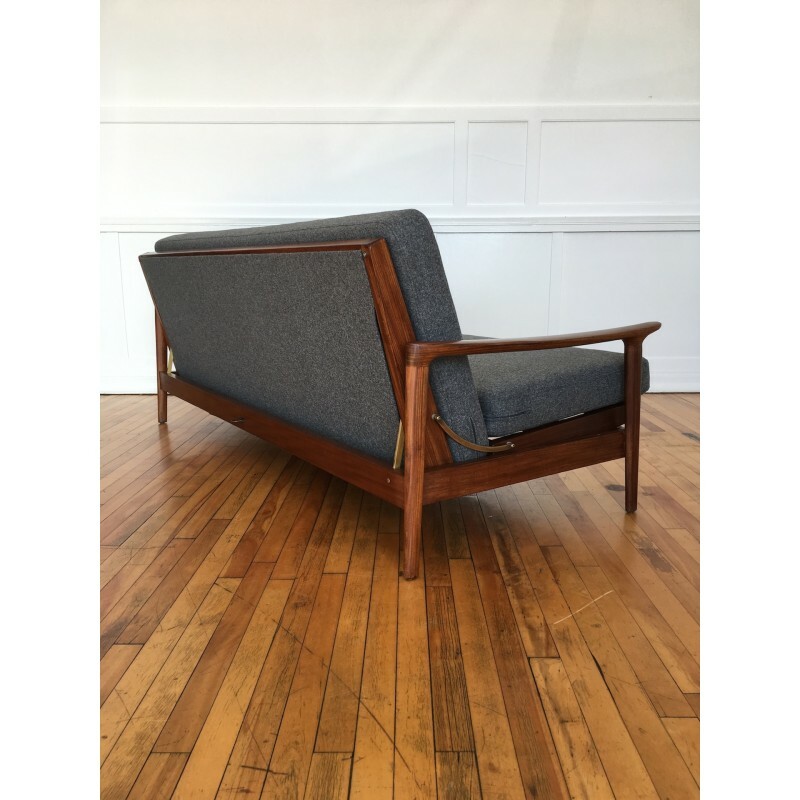 The sofa converts into a double bed very easily using a foot lever as can be seen in one of the images. 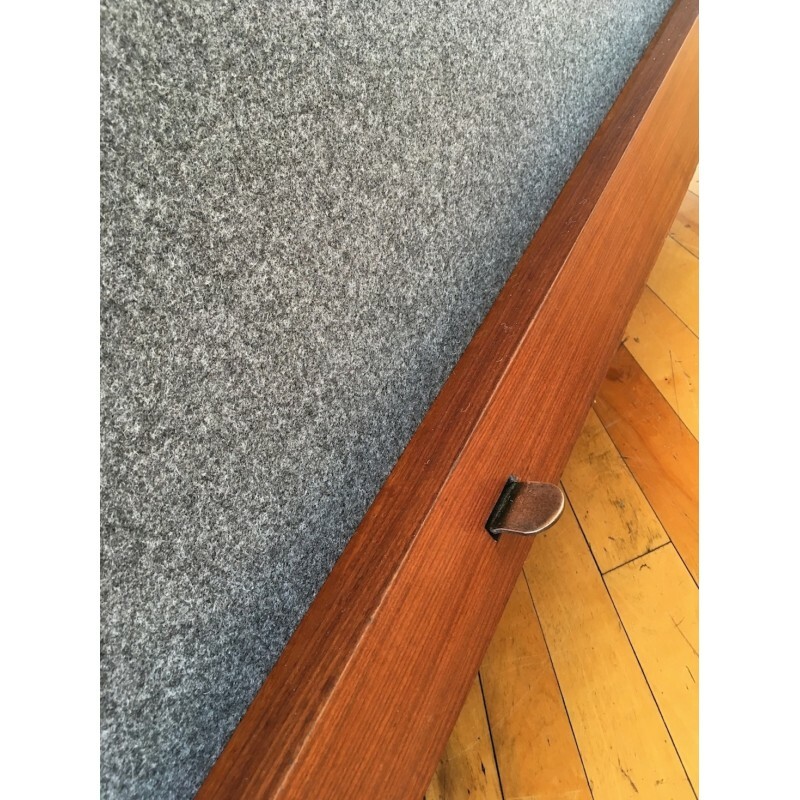 The mechanism for this is functioning smoothly and in perfect working order. 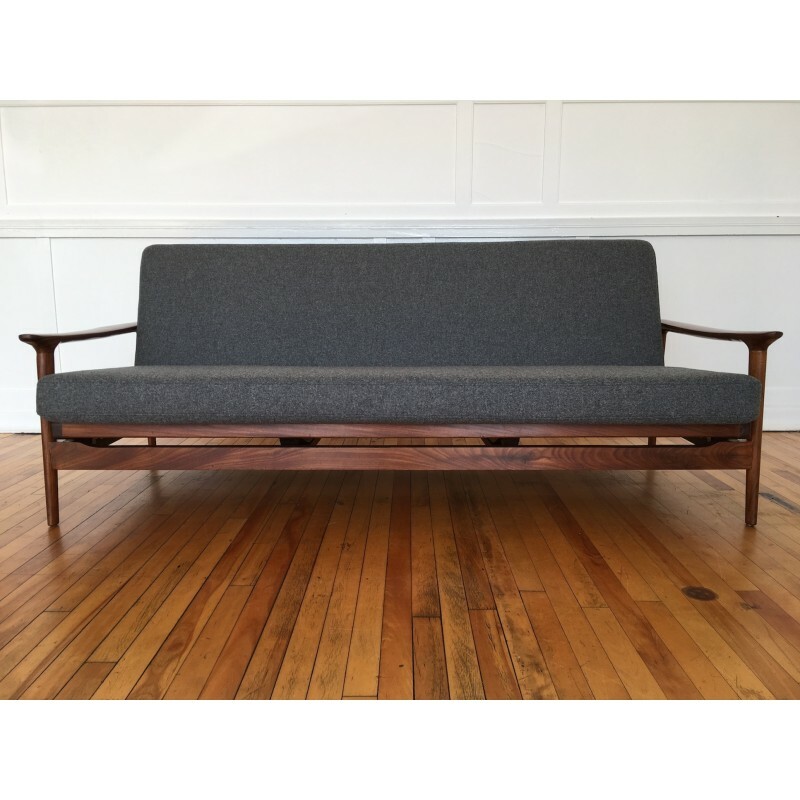 The two cushions are 182cm x 63cm each, hence the overall size of the sleeping area as a bed is 182cm x 126cm.